The American Academy of Pediatrics Recommends that NEWBORNS, until a Year Old, Receive a Daily Vitamin D Supplement. In 2003, the Recommended Dosage was 200 International Units (IU) per day. In 2008, that amount doubled to 400 IU a day. This increase was based on a study published in "Pediatrics" showing infants being breast fed, fed a combination of breast milk and formula, or consuming a diet of one hundred percent formula, were not receiving adequate amounts of vitamin D.
As with most things in life, when it comes to supplements, there are more options than there are hours in the day to do the research. Some product can even be dangerous. One of the product that been recommended to me by a friend and been recommended my many people online (Here it is - Do Not Buy) cause by baby having severe Vomiting, Acid Reflux and she become really fussy. So, here are a few recommendations and information about how to choose the best brand & product. This vitamin is necessary for proper and adequate absorption of phosphorus and calcium, both of which are needed for building strong bones. Without the proper amount of absorbed calcium, babies run the risk of acquiring rickets, which weakens and softens bones. Once you've selected the one that's right for you, no matter what your own preferred requirements, there is one important factor to consider, which is the FDA warning regarding the dangers of overdose. Make sure you administer no more than the recommended 400 IU a day. It's also a good idea to use only the dropper that comes with the supplement, and keep the packaging materials. That way, anyone caring for your baby has all the information they need. 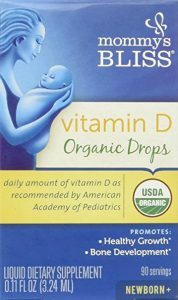 If you are looking for the best organic vitamin D drops for infants, Mommy's Bliss are an excellent choice. They are 100% USDA certified organic, and a single drop delivers the daily recommended dosage, so there's little danger of overdose. There are no artificial colors or flavors, they're gluten and soy free, and they contain no chemicals or additives. 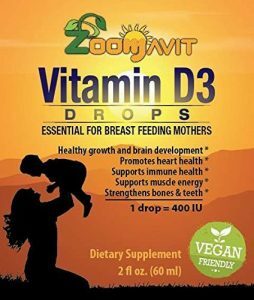 Our second runner-up in the organic category is ChildLife Organic Vitamin D3 Drops. However, one caveat on this recommendation is the fact that they are only 95% organic. 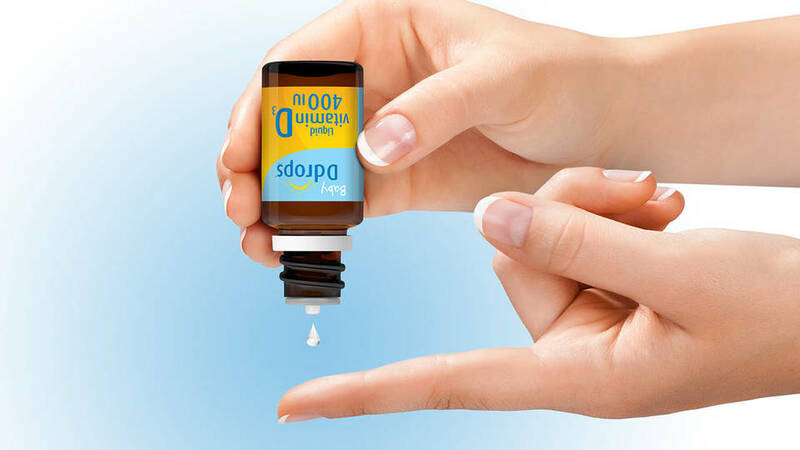 One drop contains the full day's recommended dosage, so they're also easy to administer. But if for you, it's 100% certified organic or nothing, we recommend going with Mommy's Bliss. If you do not insist on going strictly organic, but still want the best natural drops available, you're in luck. There are several trustworthy brands available, many of which are approved and recommended by the American Academy of Pediatrics (AAP). 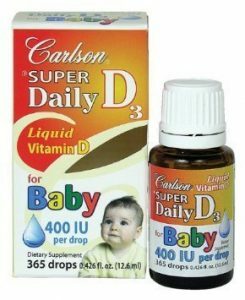 Carlson Labs Baby Natural Vitamin D Drops for babies have no preservatives or artificial colors, and they contain no gluten, milk, or wheat. They also provide the full recommended dosage per day via a single drop. A common reason many love this brand is the fact that they are tasteless and colorless. Most nursing mothers find it easiest to just administer a drop while breastfeeding, but those who feed their babies either a partial or all formula diet, particularly like this option for how easy it is to mix into formula. Zoomavit is another consistently highly rated brand. They are approved by the AAP, and users report preferring these not only for infants, but for their toddlers and teens as well. Mothers who are taking high doses for themselves in order to pass the vitamin onto their babies through breastfeeding enjoy the mild citrus taste. Others find it completely tasteless, and therefore like this brand as opposed to others that have strong flavors. These drops also mix easily and instantly into any drink. Baby Ddrops is one of the most popular brands available, and you’ll find them mentioned and recommended among most mother’s groups, forums, and organizations. What makes them so highly preferred, more so than others, is the short ingredients list: vitamin D and coconut oil. That's it. They contain no chemicals or artificial flavors or colors. They don’t have any of the additives that are so often the cause of allergies, which is a big relief since the only way mothers discover allergies is by going through the unknown minefield of the first few years. Baby D drops reviews consistently echo the positive experience with the brand, and most reviewers are repeat customers. Mothers who love Baby Ddrops insist on them solely for their lack of unnecessary fillers and chemicals. 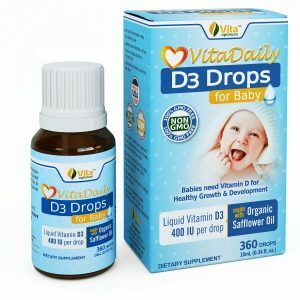 VitaDaily D3 Drops for Babies also come highly recommended, especially by nursing mothers. Like many of the others, they're also tasteless and can be mixed easily into any liquid you like. There are no additives or preservatives in this brand of vitamin d drops, they’re GMO-free, and they contain one hundred percent organic safflower oil. If you're looking for an alternative to vitamin d drops to giving your infant drops, there are a couple of options. There are several reasons that some mothers, especially those who are breastfeeding only, prefer not to give their babies drops of any sort, regardless of vitamin or supplemental requirements or recommendations. These moms typically report that they want their newborns to ingest only natural breast milk and nothing else. So instead of giving their infants a supplement, they choose other ways of increasing the amount of the vitamin their babies receive naturally. Some methods include increasing the time they and their newborn spend in the sun, and taking higher doses of the vitamin themselves (whether through diet, over-the-counter supplements, or a combination of both). The Centers for Disease Control recommends against this approach, mainly due to the dangers of skin cancer associated with over exposure to the sun. Additionally, most mothers are unable to take high enough doses consistently to ensure their babies are getting the required amount. If you are going this route, however, it is advised that you take at least ten times the recommended daily dose. This can mean up to 6,000 IU of vitamin d per day. You should also eat a diet high in vitamin D.
This means a lot of fish (including canned fish like sardines and herring), oysters and shrimp, orange juice, milk (soy or cow), oatmeal and fortified cereals, mushrooms, and eggs (the yolks in particular). 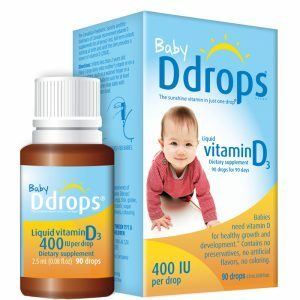 Hope you like our buyers guide and now ready to buy right type of vitamin d drops for your baby.